The nature of bitcoin and cryptocurrencies is an ever-changing dynamic. In the beginning, the mining of bitcoins was relatively easy and could be done by a high spec desktop pc. Currently it’s a very different environment. Every 10 minutes new bitcoins are released into the market and the process of releasing them is called mining. Because of the decentralised nature of the blockchain data, the complexity of the whole process has increased as more and more people started to mine bitcoin. This means that today you need vast amounts of computational power and huge mining farms consuming enormous amounts of electricity to solve the crypto-algorithm for bitcoin. Over time this “cost” of new bitcoins has become increasingly higher. • New bitcoins are mined in blocks not singular units. The reward/earnings for the successful mining is currently 12,5 BTC and the fees of the transactions in the block. • Each day approx. 1800 BTC are “earned” through mining. The reward for mining is then shared between all the participants of the mining pool. Often the share is equal to the amount of computational power that you bring to the mining pool. • Bitcoin block rewards reduce every 4 years, the reward will half in 2021. • Mining Pools consist of many miners. Big or small these mining pools operate on an input=reward system. Whether cloud based or not, the reward for participation depend on the individual rules and regulation of the pool. 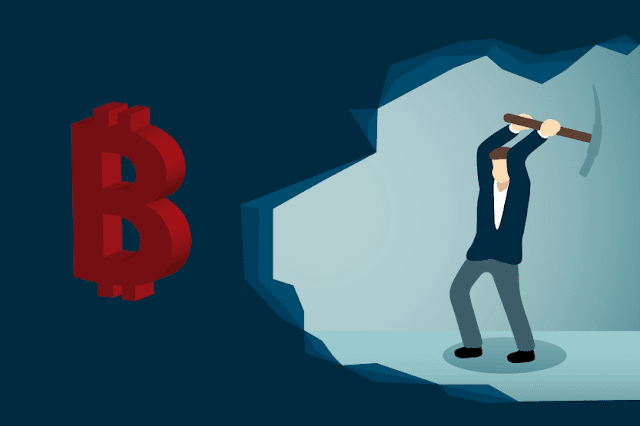 • With the bitcoin difficulty increasing with every block and more computing power required with each increase, miners have been locked in a mad and expensive “arms race” to keep ahead of the hardware requirements and resources needed for bitcoin mining. Specialized hardware and supporting infrastructure is the order of the day. • A mining farm today consists of many units of ASIC’s or GPU’s that are many times faster than even most highly spec’d personal computer in use today. The cost of these units is a huge barrier and requires constant upgrading. To answer the question of bitcoin mining, you need lots or funding to setup and you need constant income to keep abreast of the competition. Antminer produce a widely used bitcoin mining GPU, the S9, which costs about $1300 each. To compete as a bitcoin miner, you would need approx. 120 units all linked together. So, 120 Antminer S9 = $156 000.00 hardware cost. The cost of mining and the infrastructure requirements are huge and will only get bigger. Hence the reason that mining bitcoin has become a huge business and miners have invested enormous capital into the set up and these mining pools are managed by professionals with a huge weight on their shoulders. Bitcoin mining is not for the faint hearted.